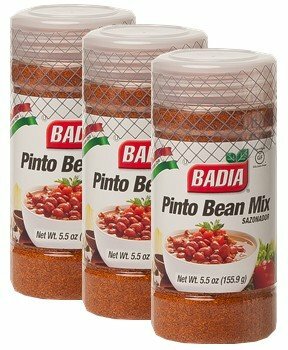 Badia Pinto Bean Mix 5 oz Pack of 3 by Badia at Smokey Robinson Foods. Hurry! Limited time offer. Offer valid only while supplies last. Pinto Bead It is the most popular bean in the United States and northwestern Mexico, and is most often eaten whole in broth or mashed and refried. Pinto Bead It is the most popular bean in the United States and northwestern Mexico, and is most often eaten whole in broth or mashed and refried. Either whole or mashed, it is a common filling for burritos. Either whole or mashed, it is a common filling for burritos.